In a Nutshell: In today’s e-commerce marketplace, even small businesses should have a website, yet many entrepreneurs lack the time, skills, or funds to build one. Since 2005, WebHostingPad has focused on providing simple, affordable, all-in-one web hosting solutions for small businesses. WebHostingPad’s plans easily scale with upgrades and offer one-click WordPress installation, integration with Weebly’s website builder, and numerous free e-commerce tools. All of these features help WebHostingPad accomplish its goal of making it painless for SMBs to establish and grow their brands online. In the early days of the Internet, e-commerce was a channel that only major corporations could afford to explore. But, as online shopping grew, it became easier for smaller businesses to expand their boundaries online. As e-commerce has exploded over the last decade, individuals and small business owners have begun to realize that establishing a presence in the digital market is a necessity. Beyond just greater brand visibility and a wider reach, an online presence lets SMBs compete with other retailers — small and large — on the same playing field. 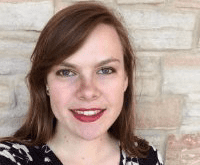 Jessa Vanderpoel, Marketing Manager for WebHostingPad, spoke with us about the site’s hosting capabilities. While there’s no shortage of hosting services and do-it-yourself website-building tools, price and quality can vary widely. And, although those gifted with the entrepreneurial spirit aren’t afraid of a challenge, not everyone is tech-savvy enough to build their own site, especially while juggling many other business tasks. Enter WebHostingPad, which makes creating a website that grows with SMBs a straightforward and affordable process. With cost-effective hosting options and deluxe website-building packages that cater to business and e-commerce functions, WebHostingPad provides a fast, uncomplicated solution for small businesses to enter the digital marketplace. Some website builders require users to have advanced programming knowledge, and not every entrepreneur has that skill set. And knowing which platform is best for a particular type of business can be tricky. The WebHostingPad process starts by choosing one of three integrated site builders: Weebly, which was added most recently, WordPress, or RVsitebuilder. Weebly shared hosting and WordPress hosting provide detailed lists of their features, as well as a comparison chart of their differences to help SMBs determine which fits them best. Along with site-builders, WebHostingPad also integrates essential tools for running a business website, such as CPanel, one of the most popular web hosting control panels known for its user-friendly interface. All WebHostingPad’s plans also include one-step installs for WordPress and other popular content management systems, such as Joomla or Drupal, multimedia and documentation tools, unlimited emails, and a free domain name. With Weebly, WebHostingPad provides another essential feature to set up an e-commerce business: one-click cart integration. While small business owners may acquire all of these services à la carte, WebHostingPad offers plans that bundle the most essential services together. That’s how the company distinguishes itself as catering to the small business that needs an immediate, simple, all-in-one solution for website building, hosting, and support. Under the freemium model of many software services, the initial product might be free, but eventually free plan users encounter restricted access to features and tools. WebHostingPad bucks this trend by offering affordable small-business plans loaded with useful features, cost-efficient upgrades, and access to task-specific add-ons as businesses change and grow. 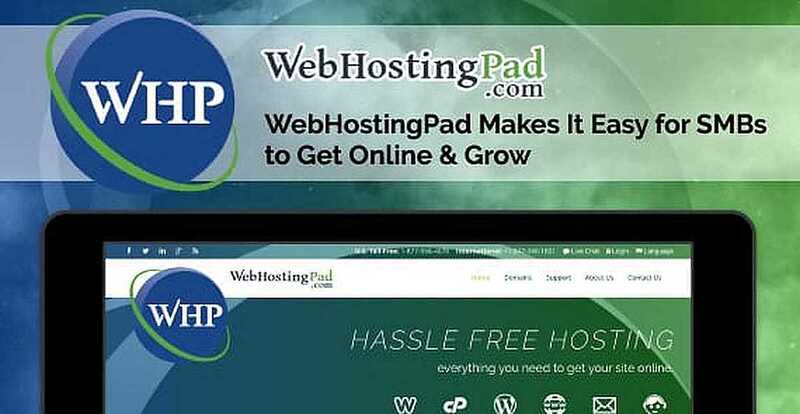 WebHostingPad’s side-by-side comparison page shows that its WordPress hosting plans offer more features for a smaller monthly fee than many other hosting services. WebHostingPad helps users identify their website needs through comparison charts like WordPress vs. shared hosting. The Power Plan, its top-selling package, is loaded with most of what a small business could need. The PowerPlan Plus is for more advanced e-commerce, web hosting, and backup features. Upgrading between plans is streamlined and cost-effective since WebHostingPad applies what remains of the user’s current plan toward the upgrade. “People will notice that as their business grows, their needs grow,” Jessa said. If a company recognizes certain needs but isn’t ready to upgrade to a higher-level plan, it can purchase individual add-on features, like a spam firewall or advanced web stats, for either a one-time or yearly subscription fee. And, for those who don’t know what they need to take their business to the next level, the add-on page includes a helpful list of tools most beneficial for each type and size of business. Many entrepreneurs setting up a website feel the urgency of getting their business online as soon as possible. When they need help, they don’t have the time to sit on hold or wait for office hours. WebHostingPad includes 24-hour support with all its plans for both US-based and international clients. WebHostingPad tries to keep each customer support case with one primary team member to ensure customers receive timely and accurate support. “We take a personal interest in our clients — I know many of our customers by name. Our office culture keeps very open communication, and we try to follow up with clients and make sure they’re getting all they need,” Jessa said. Small business owners, in particular, count on their websites to stay up, since every sale and lead can directly impact their success. Realizing the importance of minimal downtime to SMBs, WebHostingPad holds itself to a 99% uptime guarantee and continues to optimize its server speeds to improve load times. Since its launch in 2005, WebHostingPad has seen many trends in online activity, especially around e-commerce, and has adapted to meet the growing needs of small businesses. As small business owners have realized the advantages of an online presence and begun to use hosting services like WebHostingPad, their demand for more robust hosting has increased. “We realized there was a need. While we’re doing shared hosting here, some businesses grow so fast that they outgrow shared hosting. We want to give them the option to upgrade instead of having to find a different server,” Jessa said. Through VPS Depot, WebHostingPad offers growing businesses an array of virtual private server plans. That’s why WebHostingPad has partnered with sister company VPS Depot to provide VPS hosting —the fastest, most powerful hosting short of owning a personal server. As the face of digital retail continues to change, WebHostingPad remains dedicated to identifying e-commerce trends. By adapting its plans, partnerships, and features to meet the needs of small businesses, WebHostingPad is helping many entrepreneurs successfully build — and maintain — a strong online presence.